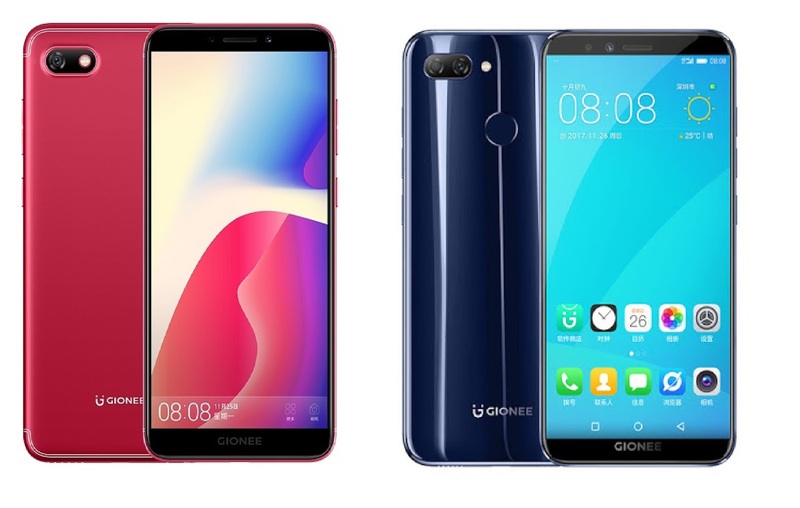 Gionee today launched Gionee F205 and Gionee S11 Lite Smartphones with FullView Display in India. GioneeF205 feature a 5.45-inch Full View HD display Powered by MediaTek MT6739 processor with 2GB RAM and 16GB internal storage. On camera, it has an 8MP rear camera and 5MP front camera packed with a 2670mAh Battery. Gionee S11 Lite comes with a 5.7-inch FullView (1440 x 720) HD display powered by Octa Core Snapdragon 430 processor with 4GB of RAM and 64GB of internal storage. On camera, it has a Dual 13+2MP Camera on Rear and a 16MP front camera. Connectivity options include Dual Wi-Fi 802.11 a/b/g/n, Bluetooth 4.2, GPS, Micro USB.Dual SIM device runs on Android 7.1 Nougat based on Amigo 5.0.The Phone measure 153.75 x72.6x7.85mm and weight 141g Packed with a 3030mAh battery. Gionee F205 comes in Rose Gold, Black, Blue Priced at Rs 8999. Gionee S11 Lite comes in Black, Gold and Dark Blue color priced at Rs 13,999.will be available from offline stores.